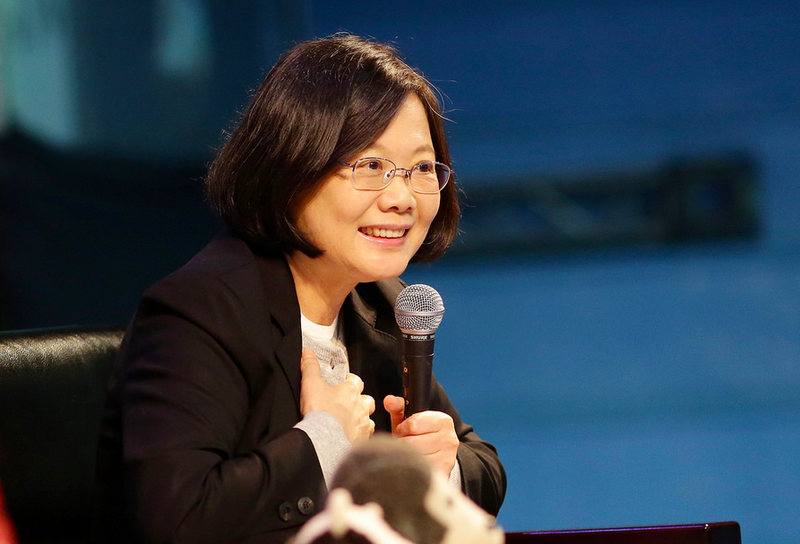 Tsai Ing-wen, Taiwan's first female president. Photo by Taiwan Presidential Office via Flickr (CC BY 2.0). Since 2016, when Tsai Ing-wen of the Democratic Progressive Party (DPP) was elected as Taiwan's president after the pro-independent Sunflower Movement, waves of disinformation have engulfed traditional and social media platforms in Taiwan — and much of it can be traced back to China. Taiwan has been ruled independently for decades, and Tsai decided to reject the “One China, different interpretation”, an agreement signed in 1992 between the former ruling Kuomingtang and Beijing that helped improve the strained relationship between Taiwan and the People's Republic of China. Since Tsai's decision, that relationship has taken a turn for the worse. Beijing has suspended diplomatic contact with Taiwan, imposed economic sanctions, forced other countries to cut ties with Taiwan and has bolstered its military presence in the Taiwan Strait. In parallel, a series of fake news campaigns have captured Taiwanese media, with experts tracing several of these stories back to China. Last year, Taiwan’s National Security Bureau revealed that a significant volume of disinformation that had circulated on Taiwan social media networks came from “content farms” with China's Communist Party. This was confirmed a few months ago by the Investigative Bureau of Taiwan's Ministry of Justice. Various media outlets, including Chinese dissident media outlet Mingjing, referred to a leaked document from Chinese authorities affirming that Beijing had launched an information war, using disinformation, online harassment and trolling campaigns to manipulate public opinions in Taiwan. Taiwanese media outlet Mirror Media also referred to the leaked document, concluding that Beijing's objective is to divide Taiwanese society. Technical research has also supported these reports. Programmers who run a fact-checking bot in an application called the LINE app, a messaging platform hugely popular in Taiwan, told Taiwanese online magazine Business Weekly that at least 20 percent of the disinformation sent to them comes from China. Eventually, Reddit users found out that the image came from various Chinese online forums like Tianya and had first appeared in 2011 when Tsai first ran for president. Around 2016, a journalist from Gizmodo reached out to the Taipei Economic and Cultural Office who confirmed this quote was false. 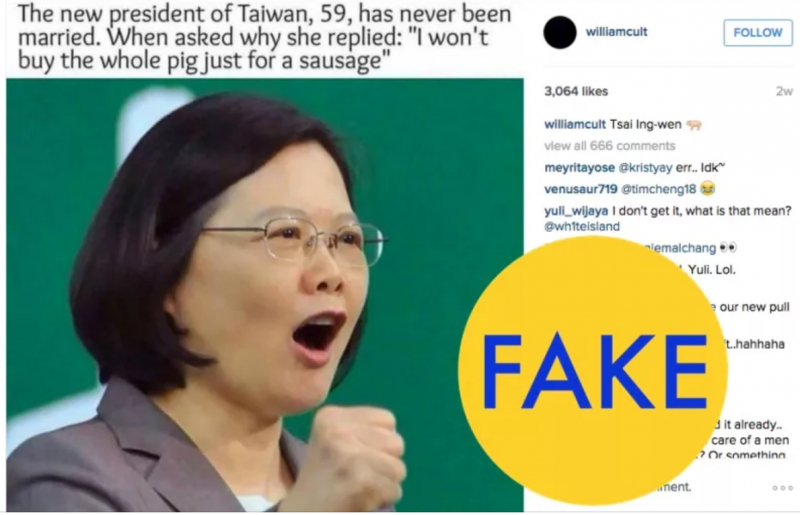 Tsai, the Taiwanese president, is the subject of a viral fake news campaign, identified as fake by Gizmodo. Although this fabricated story had circulated widely in China and became a hot topic on Reddit, it was never really taken seriously in Taiwan as it cuts against Taiwanese mainstream values. But others have gained more ground. Also in 2016, a rumor that Tsai was of Japanese descent circulated on Facebook. This piece of disinformation first appeared on Tianya in 2015 and it reappeared on Taiwan's social media in 2016. The rumor triggers memories of the Japanese 1885-1945 colonial era — those Taiwanese who were educated to recognize themselves as Chinese see Japan, and its once-colonized Taiwan, as an enemy from World War II. A similar example is a piece of fabricated news that 2,000 important art pieces in the National Palace Museum in Taiwan will be sent to Japan for a 50-year exhibition contract, which circulated in July 2018. In addition to President Tsai Ing-wen, other DPP politicians have also become targets of disinformation. In September, when Typhoon Jebi struck Japan's Kansai region, a story that undermined senior DPP member and Taiwan’s ambassador in Japan, Frank Hsieh, triggered a chaotic chain of events that culminated in the death by suicide of a Taiwanese diplomat stationed in Osaka. 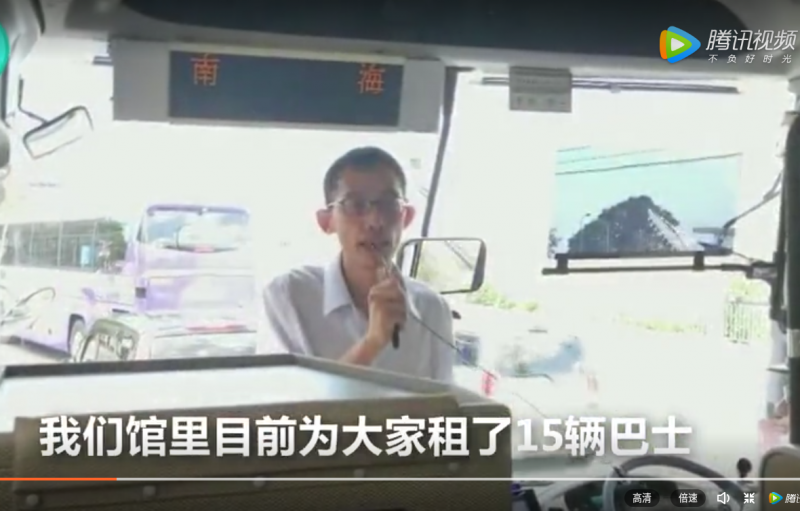 Propaganda from several state-affiliated media outlets in China claimed that the Chinese consulate in Osaka had arranged evacuation buses from Kansai airport exclusively for stranded Chinese tourists. Some reports claimed that Taiwanese people were required to identify themselves as Chinese in order to get on the buses. In fact, the buses had been arranged by Japanese authorities. As this clarification traveled much slower than the fake story itself, Taiwanese traditional media, along with internet celebrities, had time to cook the story and made the impression that many people demanded Frank Hsieh to step down for not providing adequate assistance to Taiwanese tourists during the disaster. Amid the furor, Taiwanese diplomat Su Chii-Cherng died by suicide. Japanese media reported that Su suffered from criticism due to disinformation. Later, it was discovered that much of the related social media content churning the fake story came from Beijing. Disinformation continues to follow Frank Hsieh. 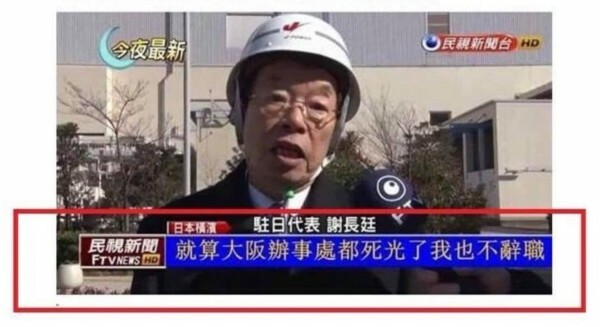 In a fabricated photo that circulated recently, a screenshot of a TV interview by Hsieh was doctored to include the quotes: ‘until all staff in the Osaka office die, I will not resign.’ As the font used in the lower banner can only be found in the Simplified Chinese version of Microsoft Word, the fabrication is believed to be done in mainland China. A fake photo with changed words in the lower banner. After DPP became the ruling party, our government becomes impotent. Now China refuses to buy fruits from ‘independent’ Taiwan. The farmers work hard for nothing. It is so sad. Though the Council of Agriculture pointed out that this photo was taken in China and not Taiwan, its circulation has successfully drawn a correlation between the drop in pineapple sales and DPP's China policy, as reflected in the farmer protest in Taipei in July. 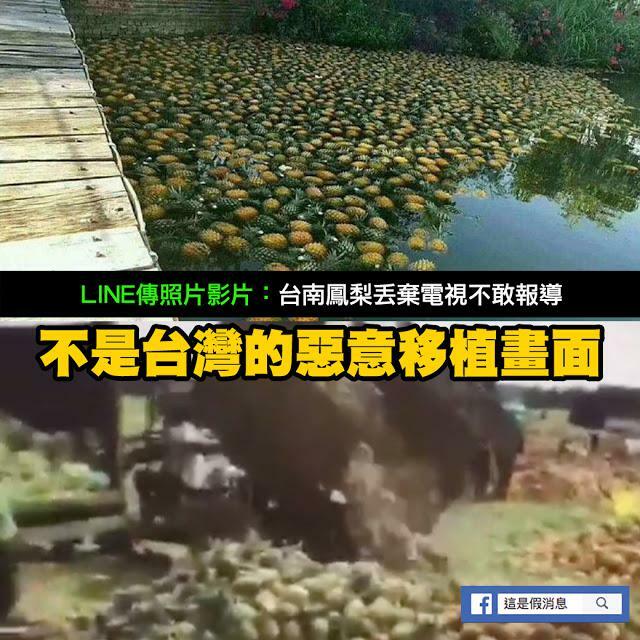 A photo showing pineapples dumped in a dam has circulated widely in Taiwan that came with a false message. The photo was actually taken in China, not Taiwan. In Taiwan, the popularity of bulletin board systems (BBS) and closed-group messaging apps like LINE have fueled the spread of disinformation. BBS, a platform style popular in the 1990s, still plays an important role in distributing information in Taiwan. PTT, the biggest and most influential bulletin board system, operates as a non-commercial and open-source platform similar to Reddit with more than 1.5 million registered users. Over 150,000 users are online during peak hours, and more than 20,000 articles and 500,000 comments are posted every day, according to Wikipedia. Some consider PTT a hotbed for rumors and, to combat them, its engineers have been testing and adjusting the platform's algorithms. LINE is the most popular messaging platform in Taiwan and, like WhatsApp, people use it to share information via closed groups. Recently, a coalition of civic tech organizations developed a bot to fight disinformation on LINE, but most users tend to believe the information they receive because it typically comes from trusted family and friends. These cases demonstrate Taiwan's vulnerability to disinformation generated in China. Understanding how to defend freedom of expression and safeguard Taiwanese people from being manipulated by systemic disinformation attacks has become a crucial item in the public agenda.